Silly Old madala. . Wallpaper and background images in the Winnie the Pooh club tagged: winnie the pooh hunny tree pooh pooh bear disney. 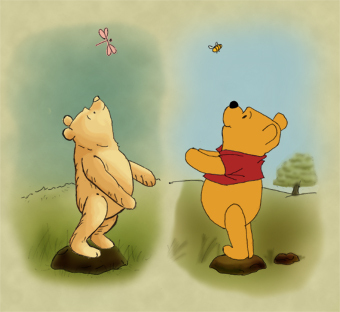 This Winnie the Pooh fan art might contain anime, comic book, manga, and cartoon.